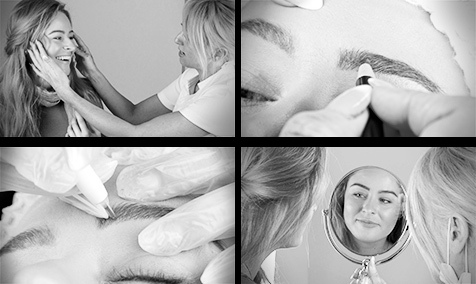 Nadene had very strong shaped brows, but wanted them thicker and a more ‘full on’ look. She had gaps at the front which needed filling in so they looked perfect. Karen created hair strokes throughout the brow and added extra colour shaded in below the natural hair growth to achieve this look.